Create visual communication that is professional yet impactful. TechSmith are the pioneers in revolutionary visual communication software. Giving users the tools they need to communicate effectively using high quality images and video. Transform your projects or training tools and make sure that your message is heard. TechSmith software requires no design skills and is a simple and easy to use program that will help you create powerful visuals. Easy to use drag and drop video effects and simple image editing tools make the process seamless and pain free. Create amazing visuals using professional screen capture and recording to quickly and effortlessly create high impact visuals that will elevate the way you teach, train or sell. TechSmith understand that your time is valuable so for that reason have created a software that you can trust to get the job done fast and to a professional standard. SnagIt makes taking screenshots, editing images and creating videos simple and hassle free. Take your documents and presentations to the next level with graphics, screen recordings and unique visual content. Your customers and viewers will stay engaged and interested as you capture their interest with professional imagery. TechSmith has created the only screen capture software that features built in image editing and screen recording. SnagIt allows you to create high quality images and videos all from within the one program. Work with a program that allows your team to work faster while still being able to collaborate on tasks and projects and communicate effectively. Aquion work together with TechSmith to ensure SnagIt remains a quality product for our users. SnagIt is the perfect tool for anyone looking to make more use of their screen captures. Teamwork is made easy with the help of TechSmith and SnagIt. Aquion are always on hand to help with any questions that you have have in regards to licensing options. Make use of either SnagIt’s Site License or Volume License. No matter if you only need 1 or 2 licences or 35, Aquion have you covered. Contact Aquion to learn more about how we can help you with TechSmith and SnagIt. Screen Capture Functionality Powerful quick and easy screen capture function. Take full advantage of SnagIt’s screenshot functionality with tools such as dockable, collapsible one click capture window, magnifier for pixel perfect captures, grab text, custom capture presets and 4K capture support. Video Recording Create visually stunning videos with no experience. SnagIt is jam packed full of video editing tools that will take your videos to the next level. Available tools include screen recording, Webcam recording, import mobile media, USB microphone support and light video editor to trim and cut. Editing and Production Tools Produce custom graphics with the click of a button. Editing and production tools allow you to fully customise your screenshots or screen recordings. With SnagIt, you have the ability to resize and crop, smooth or pixelated blur, create callouts and add arrows, pre-install vector stamps, create animated GIFs plus lots more. Fully Customisable Customise settings to make SnagIt work for you. 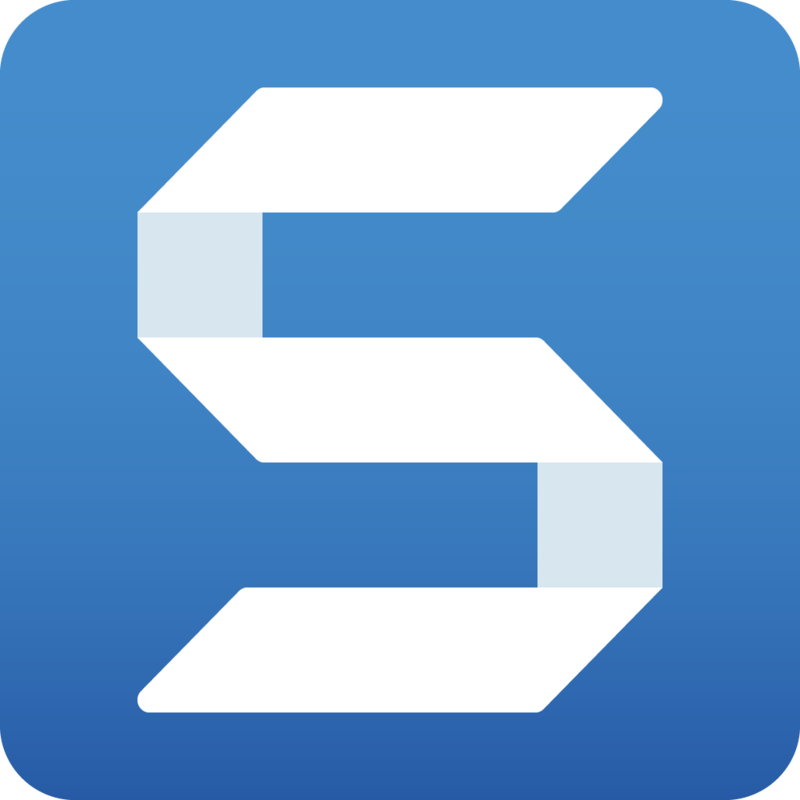 SnagIt is a truly customisable software that you can change to suit your needs. Change capture settings on the fly and automate routine capture tasks. Create and share with your team, custom callouts and shapes that mirror your businesses style guide. Collaboration and Communication Teamwork is made easy with the help of SnagIt. SnagIt is the perfect software for those looking to collaborate efficiently and effectively. Leave comments and messages using callouts and shapes to ensure your image or recording is produced to suit your needs. Easy Share Functionality Share your final product with anyone when you want. SnagIt makes it easy to upload your image or video to an email, training material, documentation or website and blog. You also have the ability to access a short URL that will take viewers straight to your final product. Improve productivity and create professional videos in 3 easy steps when you work with Camtasia. Import your own video footage or record a video of your screen. Faster rendering, drag and drop editing along with the power to import entire PowerPoint presentations means creating fun and interactive videos has never been easier. Keep your audience engaged by adding animations, visual effects and music all with the click of your mouse. 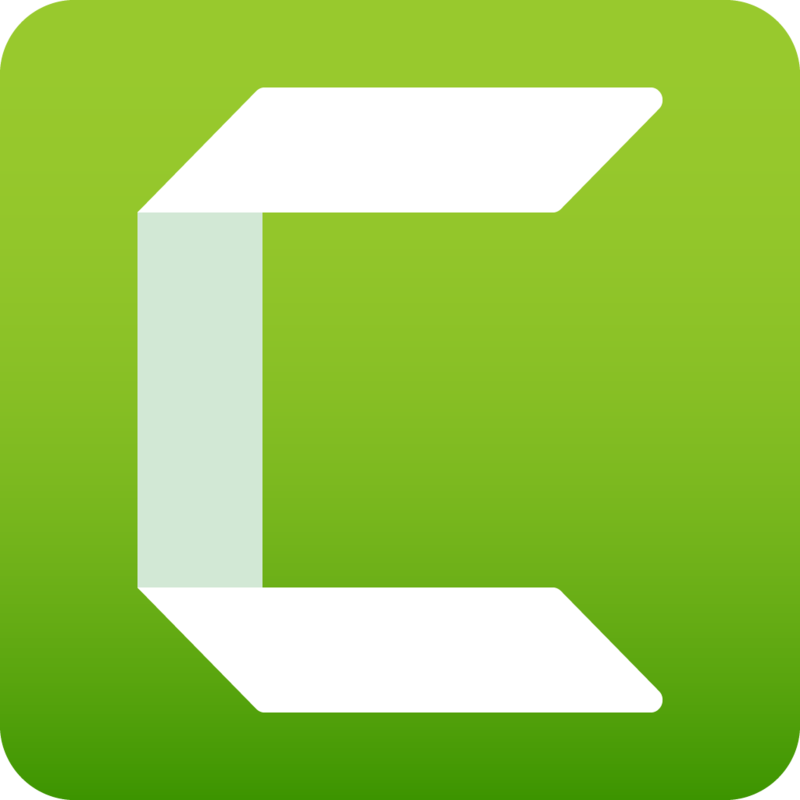 Camtasia helps you easily share projects across platforms and streamline sharing to standard locations such as YouTube. Projects can even be shared between Windows and Mac computers, making collaborative tasks easier than ever before. Powerful canvas editing and the ability to produce videos quicker with 64-bit support means you save time as videos can be completed in a matter of hours rather than days. Aquion work closely with the team at TechSmith to ensure Camtasia is always a quality software that you can trust. Camtasia is the perfect software for those looking to produce amazing videos without having any prior design knowledge. Aquion can help with any licensing information, quotations, license consolidations, license reports and any product information questions that you may have. Contact Aquion to learn more about how we can help you with TechSmith and Camtasia. Choose Your Footage Record anything with the touch of a button. Camtasia gives you the power to record anything that you like. This includes your whole screen, a small window or even a Webcam recording. Alternately, you can add images, audio or a PowerPoint presentation that you already have. Edit Your Video A simple timeline feature makes editing easy. The ability to combine or split clips, trim and speed up or slow down your footage makes editing easy. Add highlight and blur tools, the ability to remove a colour, animations and captioning, hotspots and quizzing into the mix and you have all the tools you need to produce a brilliant video. Collaborate Across Platforms Multi-Platform access between Windows and Mac. Easily share projects and files between Windows and Mac computers giving you the ability to collaborate with colleagues regardless of their platform. Drag and Drop Editor Drop and edit your video with ease. The drag and drop editor allows you to drag and drop every effect and element in your video. Edit immediately in the preview window to see exactly how your video will look. Once your video is complete then you can output your video at broadcast ready 4k. Engage Your Audience Make sure your videos stand out. Use impressive assets such as mouse movements, keystrokes, music, motion graphics and interactive quizzes to keep your audience engaged. Camtasia can help you create polished videos that will keep your training or educational videos interesting. PowerPoint Integration Transform boring slides into engaging videos. Camtasia gives you the ability to drag a PowerPoint presentation into the program and turn it into a compelling video. Add multimedia such as narration, captions, mouse pointer or call outs to effectively communicate your message and keep viewers interested. Testing always plays a big part in your learning and development process. Morae offers users an all-encompassing testing experience with the ability to record user interactions with your product, website or application. Capture audio, video and on screen activity in real time as you observe and study your customer’s reactions remotely. Morae Recorder, Morae Observer and Morae Manager give you all the tools you need to view and analyse findings while having the ability to share metrics and videos within your business or organisation. Increase productivity as you can find all testing methods in one easy to use program. Aquion work closely with TechSmith to ensure Morae continues to be a software that meets our customer’s needs. If you are looking for a reporting software that gives real insights in real time then Morae is the tool for you. Aquion can help with any licensing information, quotations, license consolidations, license reports and any product information questions that you may have. Contact Aquion to learn more about how we can help you with TechSmith. Customisable Develop features specific to your testing environment. Morae’s flexibility allows you to develop custom Recorder, Observer and Manager plug-ins to suit your needs. Build features that are specific to your project and testing environment. If you want to get started faster then use one of Morae’s preset study templates that will help you with the initial set up. Efficient Testing Capture data digitally for fast and easy analysis. Eliminate hours of wasted time using devices that are not connected. Moare captures all of your data digitally and indexes to one master timeline for instant retrieval and analysis. One central location means more time testing and less time searching for files. Gain Valuable Insights Live recorder session show real time results. Morae Recorder sessions give you the chance to see and hear your customers using your product or website in real time. Record customers faces, voices and interactions. Team this with Morae Observer and you can collaboratively log comments and set markers that makes for more efficient logging and a deeper understanding of your customer base. View and Analyse Data Timeline analysis makes reviewing data quick and easy. Morae Manager utilises a timeline structure. Colour coded diamonds and triangles allow you to easily jump from moment to moment in the video making the reviewing process much faster. Leave comments or suggestions along the way for your colleagues or review comments left during a collaborative task. Secure Online Sharing Securely share videos using Screencast. Reviewing and sending highlight videos to your team are easy with the help of Screencast. Deliver videos quickly and securely over the internet with Screencast and rest assured knowing that your data is safe. Professionally Presented Results Document results and findings easily with Morae. Morae’s Word add in allows you to simply drag and drop graphs, screenshots, data tables and more directly into your Word Document. The final product is a powerful yet professional report that you can share throughout your business.